Last week I headed to Santa Barbara for a day of fun and relaxing with my fam! I ordered this tee on sale, cause I'm so obsessed with the brand's cotton and fit…not being paid to say that, its the truf! 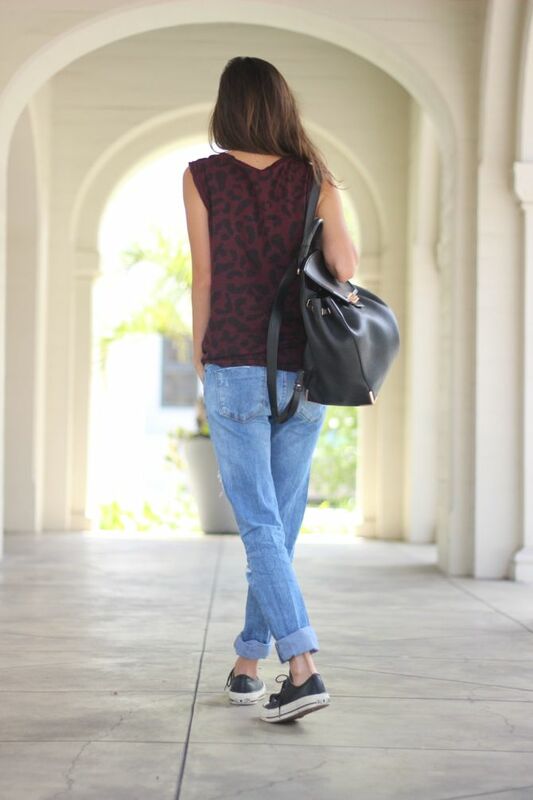 So I kept it casual in leopard, one my most favorite pairs of bf jeans and some chucks. This is a must stop for us every trip we make to SB. A fun open market with tons of good eats! Empty Bowl Noodle is a MUST try. The pad thai is seriously the best ever. A delicious sushi spot right on State Street. The Ginger Yellowfin Tuna and Zippy roll are 2 of my faves! 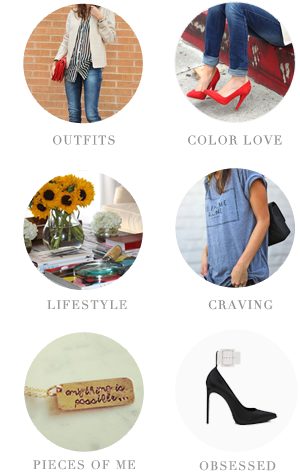 Has everything from Isabel Marant to Rag & Bone to Chloe. Basically a fashionistas dream. This is actually in the town of Summerland which is just a short drive from SB. It has everything from garden to home to design. Pillows, succulents, dinnerware you name it! It is such a little hidden gem. This is a great addition to Montecito. Menu is small but the food is delish! Try the burger or the Tahi Noodle salad. Hope you get to visit some of my favorite places! Fantastic coat and a perfect daytime bag! You look beautiful!! love the top and the jeans! Obsessed with every part of this outfit. Thanks for sharing. Lookin' good mama! Just got a new pair of converse and love them.